Matthew Cooper, performing as Eluvium, has been making dense, ambient music for years now, but this time, he’s tried something different: he’s added his own vocals into the mix. His voice drones in the background, oftentimes less prominent than the various instrumental lines that make up the songs. It’s a new direction for Eluvium’s music, but one that’s kept to a minimum on the album. On Similes, Cooper’s voice is just another instrument, weaving in and out between layers of piano, strings, and yes, sometimes even percussion. Some of the tracks are just long enough to give you a taste of what Cooper can do when branching out from the ambient music he’s made previously, but the closing track, the eleven minute long “Cease to Know”, is perhaps the most fully realized, although also a track that seems like more of a throwback to his earlier releases. Similes is out now, on Temporary Residence Limited records. 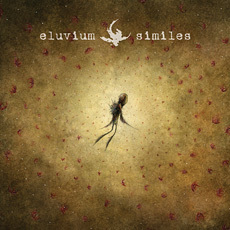 Eluvium drops by Schubas on May 24th for a show.